Butterfly Baby Place: Look how cute! Ava's birthday is in two weeks and I'm making her a pillowcase dress with cupcakes on it. 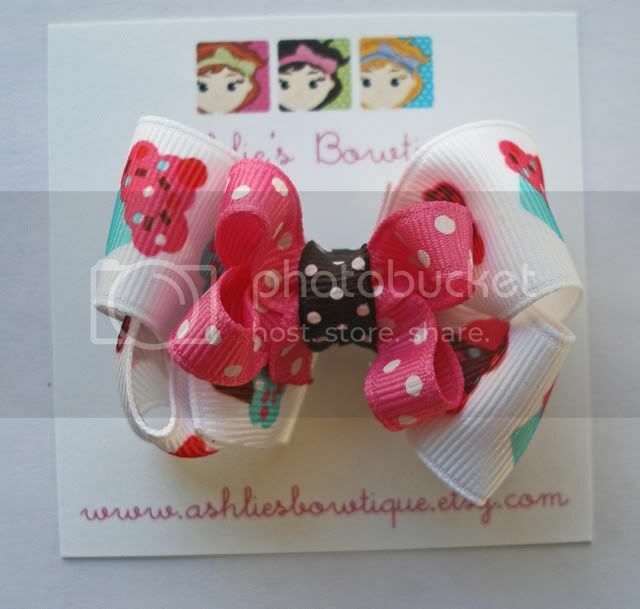 I've been searching for the perfect bow and I've finally found it at Ashlie's Bowtique!! It is absolutely adorable. The one listed was actually a little bit bigger than I needed, so she made a custom bow to show me, with no obligation to buy. Well, of course I did because it's adorable, but wow! Such great customer service! !